To succeed in business, communicating with colleagues, upper management, customers (real or potential), the general public and others along the way is a key factor in landing that job, doing it well., and getting that promotion. That may involve multiple modes of communication: interpersonal, written, speaking to groups (informal and high-stakes presentations), participating in meetings, and more recently via internet (e-mail, social media, webinars and more each day). Here you’ll learn from the Bard’s memorable communicators, such as Henry V to his Band of Brothers, Marc Antony to his “Friends and Romans,” Cleopatra when shooting the messenger, Othello advising his team to put brain in gear before mouth, (and even Falstaff to shape up his band of scoundrels). Pithy examples from current day executives, politicians, and personalities sharply demonstrate ways to tune up (or mess up) communication prowess. “As a financial executive, now retired, I was constantly amazed at how the Bard’s words applied so well to the business world. Tom’s 2nd edition highlights many of these in a vivid and valuable manner. A must read.” Alex Sandie, President-Founder of San Diego Shakespeare Society. “As a trainer and workplace expert, with backgrounds in theatre and corporate worlds, I found this especially intriguing. Linking the Bard’s memorable quotes to today’s world provides valuable communication tips in a style that stimulates and enlightens. 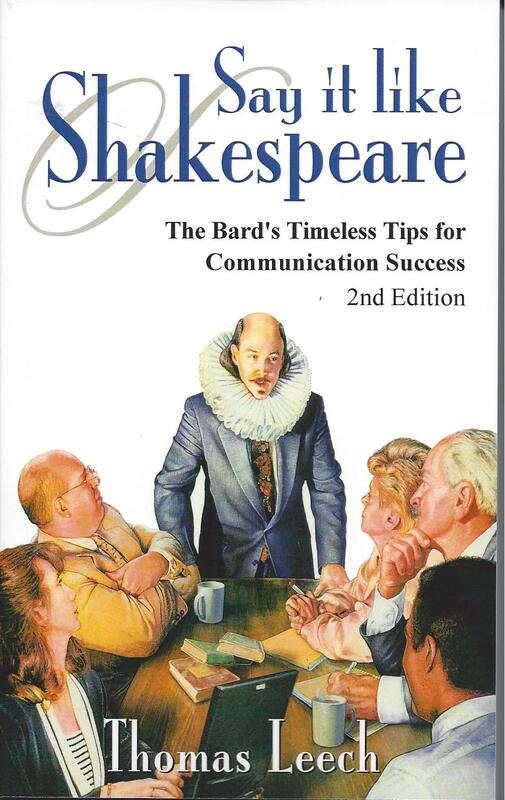 A fun read that stirs even more appreciation for the Bard’s words and lessons.” Kit Goldman, President Workplace Training Network, Inc. Specifics: From Presentations Press December 2013. $14.95 softcover (Kindle e-book $7.95), 332 pages. ISBN-10: 0981-769-314, ISBN-13: 978-0-9817693-1-8. For book details and to order copies, visit www.amazon.com and www.presentationspress.com. Contact Tom at 858-650-0810 or winpres@aol.com. 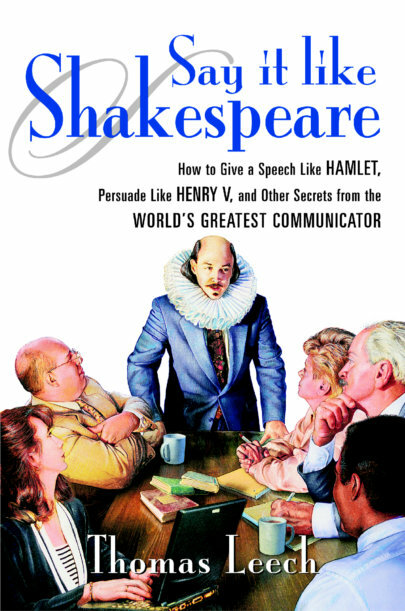 Say It Like Shakespeare, 1st Edition (McGraw-Hill) received much acclaim as well. You’re professionally competent but avoid presentations like the plague. The butterflies go berserk at the idea of speaking public, limiting future opportunities. You frequently find yourself required to make presentations, but never learned how. How to upgrade your capability? As for many speakers today, PowerPoint is a major tool. Except you’re still getting low marks on your presentations! How can you make this tool help, not mess up, your presentations? You have been complimented about your presentations, but your new job has upped the stakes to sales presentations, overseas. Need help, fast! You’re now on a team which must prepare and deliver a high-stakes presentation – graphics, teamwork, serious Q&A. Where can you get some help, right now?